The cult of Super Smash Bros. The Division has played so much with my nerves for two and a half years, and at the time I started the closed beta, I hardly knew what to expect or not. Now less than a month before its release, and an open beta ready to roll this weekend, I decided to share my thoughts on this ambitious new title from Ubisoft based on what I played until now on the Xbox One. First thing first, let’s give a recap on what the story is. 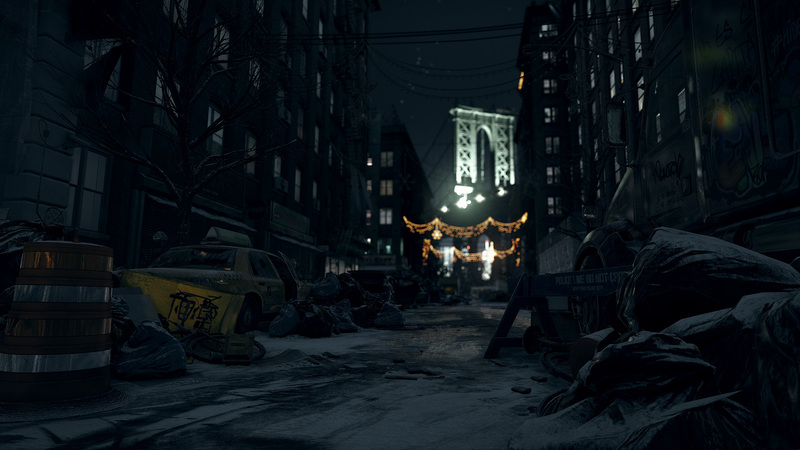 Based on one the Tom Clancy universe, The Division is set in contemporary New York, a virus found on banknotes circulate fast across the city, its transport, its infrastructure, its leaders and its supply chain on the busiest day of the year in the US: Black Friday. From one hand to another, with every transaction, the Smallpox virus infects the population, forcing the authorities to put Manhattan under quarantine, which won’t mean much since the whole country becomes infected five days later. The Big Apple now succumbs to misery and chaos, where scavenger gangs and armed group want to restore order in their own way. That is when a dormant Homeland Security faction awakens to liberate the city and find the mysterious group behind the pandemic: the Division. Composed of men and women individually driven in the greatest secrecy, brought together by a common cause and the desire to restore the authority, raise medical and technological infrastructure, supply, these agents fight in the streets to free neighborhoods repel enemies and bring hope to the people. Now from what I have glimpsed in the closed beta, it seems that the beginning of the title is centered around the restoration of your campaign headquarters. The latter has three wings, each headed by an NPC, and the Beta has you work to activate the medical wing. To do so, you were tasked to find Dr. Jessica Kandel who had the misfortune to get caught as a hostage by Rikers (scavenger gang) in the famous Madison Square Garden. After a relatively bitter struggle, but still doable, the doctor was saved and repatriated to the medical wing, ready for serving patients. But the story does not end there, as all other areas of the HQ are still left to be tampered with, and the full game will eventually enable all components of each wing, and their upgrades like building a quarantine sector in the medical wing. One can imagine that opening these new facilities will not only help you advance in the story, but also enhance the character and its equipment. Speaking of that, the crafting system seems to be a big part of the experience. 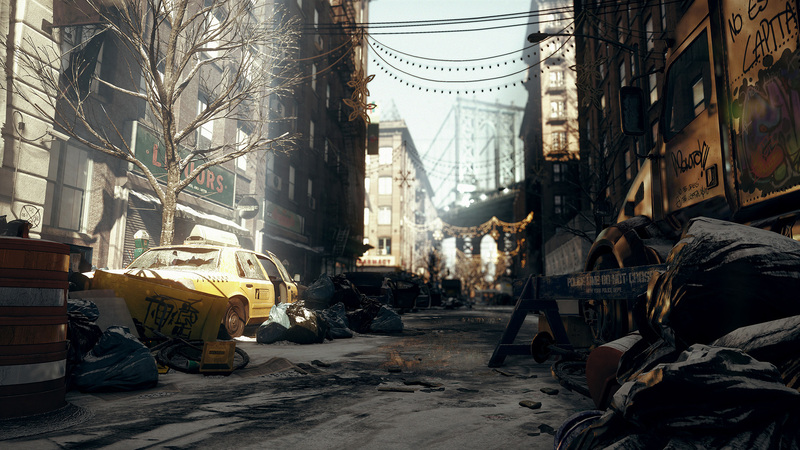 There are loot chests everywhere in the city full of materials (electronics, tools, fabrics) ready for you to scavenge. Unfortunately this feature was not present in the beta, but we did noticed a currency defined for Division agents that can be used to purchase equipment at the headquarter such as mods for weapons or armor pieces. If the headquarter seems to be the nerve center of the PvE part of the title like the Tower is for Destiny, we discovered that in addition to story missions, random events occur during your walks and patrol around New York, and one I tried was to free hostages. To do this, you had to clear an area of ​​enemies, retrieve a key and free the hostages. In another mission, we were giving a hand to a squad of the JTF (Joint Task Force) who was desperately trying to regain control of an area in New York, which meant you having to withstand waves of enemies. Speaking of enemies,I crossed fire with the cleaners faction, armed with flamethrowers who want to burn anything that moves to purge the city from the disease, but also the “Rikers” – which if you know your New York history, would understand the relation with Riker’s Island, a prison complex that is on the shore of the Big Apple. I’d say the AI is rather smart in comparison to other Tom Clancy titles (like Ghost Recon for example), as they duck and cover, rush you when you are out in the open, and try to corner you to their advantage. It doesn’t seem like there’s a pattern in their strategy, which is a good thing. But my problem with these enemies is that they are hard to kill… Not because of the difficulty of fighting them, but because they are “bullet-sponges”. A term well known to RPG players, a bullet-sponge is an enemy with insanely high health gauges, which require an even more insane amount of weapon projectiles (or spells) to kill. While I don’t have a problem with bullet-sponge, I believe it doesn’t work well in this kind of games, even if it is influenced heavily by RPG elements because of one thing: the enemy is a human being just like you. While a bullet-sponge in other RPG shooter games like Mass Effect, Borderlands or even Deus EX makes sense because enemies are either mutated, enhanced or aliens, but in The Division, it’s unrealistic to empty 3 full clips of an assault rifle on a human enemy wearing a makeshift armor to kill him. Anyway, rant on that point is over. The Division beta had PvE activities like exploring contaminated areas which have you activate contamination sensors in buildings, protect potential squatters, or even try secondary missions, like investigate a missing person, the daughter of an important person in the campaign. All these objectives, missions and activities can be found easily thanks to an interface named “ECHO”, which opens this awesome map of the entire area in a sort of AR hologram based from surveillance cameras.The ECHO is also a way to access the menu, upgrades, weapons, etc. In addition to the PvE area, there is the “Dark Zones” which are lawless areas heavily infected and where the Joint Task Force does not surrender. In the latter, you have the opportunity to retrieve rare loot and amass currency that works only in those areas. You can walk there alone, but the enemies are the sturdiest, which will rely on you to be in a group. With each victory against the factions, you might find some contaminated equipment, which you will then have to bring to an extraction zone. The great part about it is that when you contact your headquarters for extraction, a timer goes off, which alerts everything in the area to you, which can be AI enemies but also real players that want to steal your hard-earned loot or just simply help you protect it. Once fully recovered, the tainted loot will be uncontaminated and ready for you to equip at your HQ. That’s where things get interesting. If you play the villain side during the extraction, you will become a “Rogue” agent, and the other players not only get your loot when they kill you, but you also lose your Dark Zone currency and the experience accumulated. To be honest, it was quite complicated to succeed in the extraction, because the whole thing ended up with kill fest for every player and AI. The Division appears to have a relatively strong and varied playable content, which is good news. My doubts are based upon the quality and variety of random events, and how the title will manage to challenge the most organized groups, the endgame content, and if there’s going to be something close to a raid of sort, regardless of the additional content that will come first on Xbox One. But from a first grip, I was quite impressed by the freedom of this title, as well as the atmosphere that designers were able to give to a New York in distress. This is encouraging, even reassuring regardless of the graphics (which cannot be judged upon from a beta), and a story to be continued when I’ll review the full title next month, set to launch in over 20 supported languages including Arabic for the Middle East. The Division launch on the 8th of March 2016 worldwide for Xbox One, PC and PlayStation 4. The open beta is now live for Xbox One players, tomorrow for PC and PlayStation 4, and finally will end on February 21st. The beta download weighs in around 35GB, but if you participated in the closed beta, you will only need to download a 1.5GB update to access this open beta. Note that on Xbox One and PlayStation 4, you’ll need an Xbox Live Gold and PlayStation Plus subscription to take full advantage of The Division Beta.